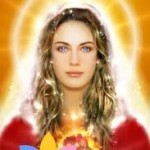 We come to you as the consciousness of Lady Nada and Lord Sananda. We want to talk about how important it is to allow the Devotional Light of the Sixth Flame to work through your Emotional and Mental Bodies. We bring forth the Divine Feminine and Masculine to assist in helping you to understand the true concept of Forgiveness within your own Self. How many times have you been able to accept the fact that you need forgiving light as much as another person especially one that you may feel you have hurt? This is a very important question that needs to be pondered within your consciousness. Your Emotional Body along with your Mental Body are trying desperately to bring forth the integration of the Divine Self. Many moments ,you as the Initiate, may be so involved in your own agenda that you do not realize the potential you have within you to create the ability to Love yourself so completely that it will appear in your outside world as the Blessing you have desired to have in your life. Individuals can get caught up in the process that they forget to stop and reflect within themselves of what they are feeling. The Emotional body is truly a gift to the Divine Self. But yet, are you able to step into that role of nurturance and love to your eternal self? It is in those moments that a doorway opens to allow for the true issuance of Grace to be experienced in all that you are feeling. Think of yourself being immersed in the most beautiful light of the Ruby Red with Gold as it travels into your Heart allowing you to take a moment of being very calm, like watching a beautiful lake in its stillness, feeling the wind across your face ever so slightly, while hearing a songbird chirping in sheer delight. Your Heart is fluttering with complete joy of the moment. As you allow yourself to experience this moment, your Feminine Divine is expressing the pure love within your Heart as the Masculine Divine is in a state of love holding the energy for the Feminine Self. Take this a little deeper and move the energy into your Heart Center to a place that feels like it needs more of this movement of Grace into the space that has not been aligned with this pure essence. As you go through this process, your entire bodily structure is feeling the freedom of being calm and peaceful. This means that your Physical is allowing the transference of energies, the Etheric is receiving the blessing, while the Emotional becomes the Feminine Divine and the Mental allows for the Masculine Divine to all work together in unison. It is a state of bliss that can be achieved by taking the time to feel the Movement of Grace within you. As this moment goes deeper within your consciousness, the ill thoughts or feelings may arise. Let us help you remove them. Is it about a person or a situation? Can you write down the details of that moment? Take another moment and send this energy you have been able to focus upon that may be uncomfortable, the essence of the Ruby Red-Gold Flame. Concentrate on the blessing you received and allow it to go to the memory within your subconscious. Take some time with this exercise. Then again, sit and write about your feelings and thoughts in the moment. Has it changed or dissipated in any way. 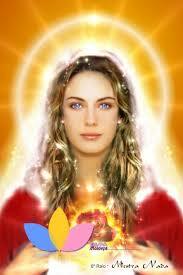 Feel the energies going upwards from this dimensional level into the higher realms of light. Send it to the Source of Oneness, the 144th dimension and feel it dissipating within you. Now go back to the same moment of Peace and Serenity you experienced. Breathe it into your four-body system as you allow your Etheric Body to heal deeply and fill it up with the most Divine Love and Light you can imagine. This is allowing the Art of Self Forgiveness to be embraced within your full-body system. Each of us walks with you to help you acknowledge all parts that need to be in Oneness, to be healed as your Etheric Self becomes integrated within your Physical Self, your subconscious thoughts are healed by your super-conscious of your Higher Mind and your Higher Ego blends within the physical to assist the Lower Ego to heal through the depths of your Soul. We are Lady Nada and Lord Sananda at your service.